Leading Manufacturer of Corporate Plastic Pen, Lava Pens, Hitler Gifting Pens, Rock Pens, Blue Pen and Breeze Pen from Delhi. Being one of the well known companies of the industry, we are engaged in offering a premium quality assortment of Corporate Plastic Pen to the market. Manufactured making use of high quality raw material and factory inputs and ultra modern machinery, our offered products are tested on various quality parameters to ensure supreme quality standards. In addition to this, we are offering them to our clients at highly feasible prices. Recognized as one of the eminent names of the industry, we are readily engaged in offering our clients an extensive range of Corporate Plastic Pen. Appreciated and acknowledged by our customers for their modern and classy designs, these are usually used in corporate offices fir writing purposes. Highly known among our clients for their leak proof nature, these products are immensely demanded in the industry. Hitler is a latest design in our 2014-15 series of corporate gifting pens . As the name suggests it will make u feel like holding a pen which is as bold as hitler. Made of good quality plastic and attractive colours with high quality refills. Can be customised to buyers need. Available in many colour combinations. it a Plastic pen easy to grip. 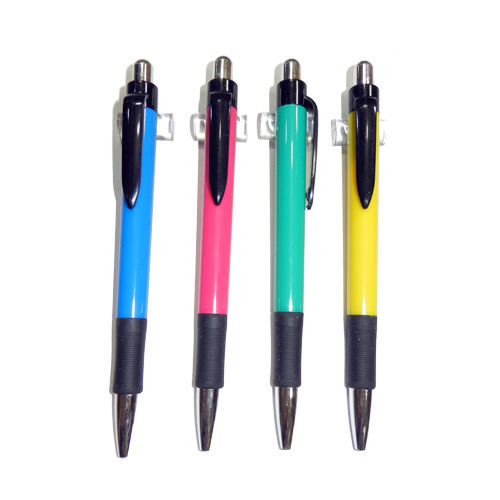 We are the leading supplier of the Pen Industries in delhi..
our products are very rich in quality..